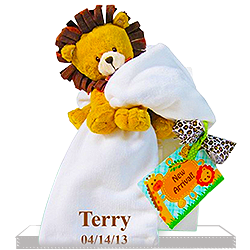 Congratulations on the beautiful bundle of joy. BABYNAME is absolutely gorgeous and is so lucky to have such wonderful loving parents. Congratulations on your beautiful baby. 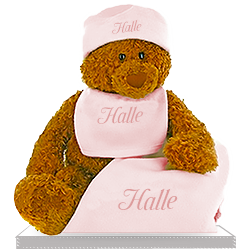 Congratulations on your new addition to the family!! We wish you all the happiness in this world. So happy you're here! I love you and can't wait to hold you! Welcome to the COMPANY family and team. Please accept this gift as a token from your fraternity. 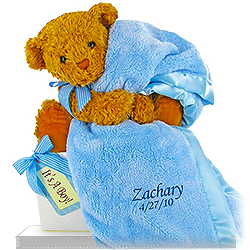 What a sweet and thoughtful gift for a new baby boy! 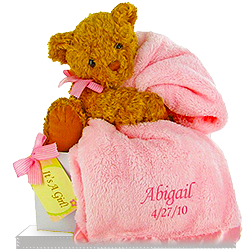 A 10" lovable teddy bear holds a gorgeously soft personalized satin lined minky baby blanket. This is a keepsake that will always be always be a favorite. Very nice and well received. This website is so easy to use and makes purchases so simple! Will use this again and again! I was very happy with the delivery, quality and my friend's reaction to the gift. 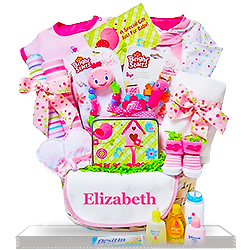 I will order again from giftbaskets4baby, definitely. When I received this lovely basket I was in seventh heaven!!! 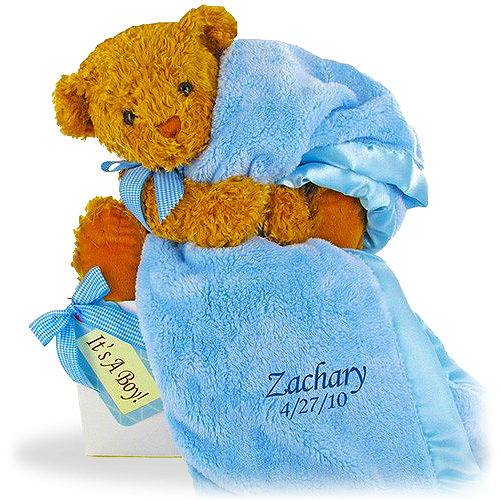 So beautiful, so cute and made especially for my new son!!!! 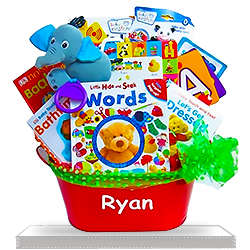 I was so happy when received this cute gift basket! It looked extremely nice and all items inside are just wonderful! 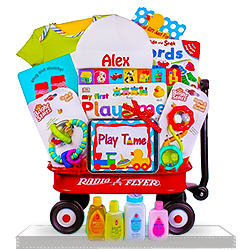 Every baby boy would wish to receive the same for his first birthday. 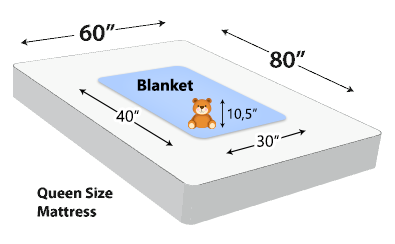 Everything is well made and safe for babies. I fell in love with this gift at first sight when I saw it in the pic. Ordered immediately and sent to my cousin who recently had a baby. She called when it came and told she loved it too.